Threatening criminal prosecution in order to collect taxes is used throughout the United States too…. If you think that Police in Finland, asking the public to report cheap pizza have gone too far, here’s some food for thought. People seem to think this has something to do with Finland being a “socialist” country. It doesn’t. And if you are wondering why the Finnish Police are involved, and you think that would never happen here in the states, you are wrong. Here in the states, though, our governments focus on big data instead of crowdsourcing. New York decided it was easier to count pizza boxes than to find rats willing to bite the hands that feed them. 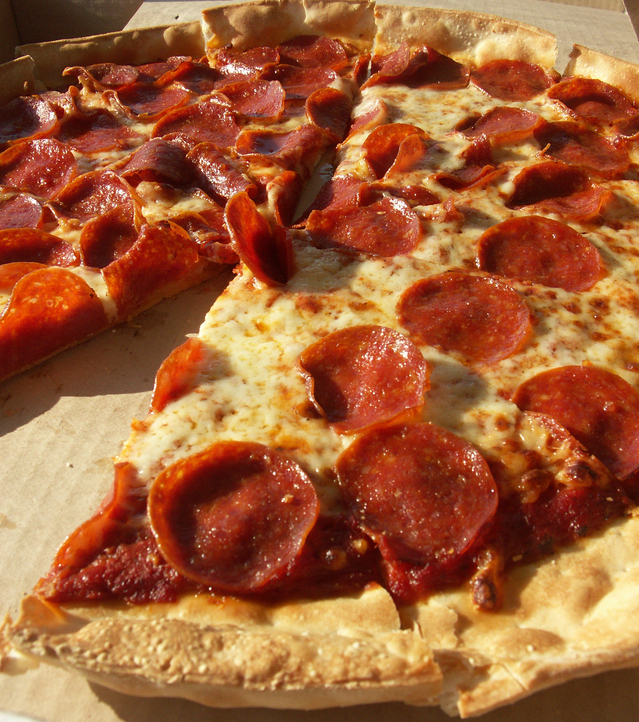 Is a pizza franchise selling more pies than it is reporting to the state? The chain’s parent company might have to show how many pizza boxes it sent to the local shop. Criminal tax fraud investigations increased from 581 in the ’06-’07 fiscal year to 2,078 in the ’08-’09 fiscal year. Nearly 600 cases were referred to prosecutors that year, about three times as many as the last year of the previous administration. The Connecticut Department of Revenue Services is a fan of big data, and criminal prosecutions as well. Page 8: Advances in technology and the use of data analytics have allowed DRS to improve its ability to identify those taxpayers that are likely to be noncompliant and those most likely to be subject to successful collection. DRS employs a sophisticated data warehouse that contains elements from internal as well as external sources. Page 12: Tracking third-party data is helpful in flagging potential tax evasion. DRS obtains alcohol, cigarette and auto sales data that is then compared to reported taxable sales to produce audit leads. The agency is also beginning a similar initiative using IRS 1099 federal credit card sales data to compare to state reported gross receipts. Page 21: The initiative is referred to as “IVU Loto.” “IVU” is the Spanish-language acronym for the sales and use tax. “Loto” refers to the customer lottery included as a means to induce merchant compliance. Frequent, low prize value lottery drawings are intended to incent customers to demand that merchants use the system to provide receipts that include the “Loto” number. PRDT holds semi-weekly LOTO drawings awarding one $25,000 prize, one $1000 prize and eight $500 prizes in each drawing. Page 12: Prior to 2013, DRS routinely renewed sales tax permits for 5 years and cigarette and tobacco products licenses annually – even if the taxpayer was delinquent. Based on newly enacted legislation initiated by the agency, permits are no longer renewed when back taxes are owed and sellers are advised of the legal penalties for operating without a tax permit. Permits will only be conditionally renewed if the taxpayer makes payment in full or maintains an approved payment plan. In addition, after 30 days of further non-compliance, the delinquent taxpayer and the case is referred to SIS for may result in arrest and prosecution. Step Two. Wait. Most taxpayers who are subject to a Sales and Use Tax Audit make the mistake of trying to work things out on their own with the auditor. Maybe they get somewhere, maybe they don’t. The audit might drag on for several months. But eventually, once the auditor is satisfied with her numbers, she is going to close the audit and send a bill. And at that point, the clock starts running on the taxpayer’s appeal rights. If you don’t appeal in time, the assessment will be final – and you no longer have any right to fight the underlying liability. Refuse reasonable payment plans, demand payment in full, threaten criminal prosecution. Once the tax is assessed, it’s pretty much game over as far as the examiner is concerned. The case will eventually move from audit to collection, where tax warrants (wage levies and bank account garnishments) will eventually be issued if the taxpayer does not propose a solution that the DRS agrees with. But wait it’s actually better than that! The thing is that the DRS has such a powerful arsenal now to collect sales taxes, that it no longer needs to actually try to find the money. It used to be that in order to threaten criminal prosecution, DRS had to be creative and charge taxpayers with larceny or it at least had to prove that a taxpayer’s failure to pay or file was willful.. Not anymore. Now all the DRS needs to do is wait. Because once that permit comes up for renewal, DRS. Just. Won’t. Game over. Step Three. Refuse to renew sales tax permits. Actually criminally prosecute. I could write more. But this post is already too long. So I’ll do the reddit thing down here and up top. For a laundry list of several state’s positive spins on how they are closing the tax gap with the aid of technology, see BNA’s article here. When beginning a new business venture, most entrepreneurs have a handle of the importance of properly forming a business in terms of selecting a business structure such as a partnership, a limited liability company or a corporation, and filing with the State to gain legal existence. A much smaller group understand the importance of having a partnership agreement, operating agreement or shareholder agreement between company founders. I have seen a few situations where the lack of such an agreement has caused struggle between business founders, even leading to failure of that business. Business founders need to budget some cost for a basic agreement to document terms such as ownership structure and rights, voting and decision-making rights, management responsibilities, and buy/sell provisions or rights of first refusal when one founder decides to make an exist, among many others. Having a well drafted agreement that brings up major points the business founders have not even consider is very important and can save a lot of time and money in the long run. An agreement is no guarantee of business success or that issues between founders will not arise. However, having an agreement in place that is specific and decisive can squash many smaller issues before they grow into bigger problems.